If you pay any attention to technology news, you’ve certainly heard of Meltdown and Spectre. These exploits, both attacking the same core vulnerability, have even received a fair amount of mainstream news coverage. The reason these exploits are receiving so much media coverage is that unlike almost every other computer security issue, the root vulnerability is not located in software but rather in the core hardware of any computing device – the CPU (or more commonly, the “processor”). Practically speaking, because the vulnerability is a flaw in hardware, it is not possible to completely prevent these exploits without replacing the processor. Additionally, almost every processor in every commonly used technology device (computers, smartphones, tablets, etc.) is affected. As bad as this problem sounds, and yes this is a really bad flaw, the practical implications are probably much less frightening for the vast majority of technology users than originally reported. The first thing to keep in mind is that while the exploits have been given scary sounding names, they are NOT viruses. In other words, there is not an actual attack currently in the wild. So for all the alarms being raised in the media, there is currently no immediate danger. All that was disclosed was the description of the root vulnerability (a security flaw in the design of a CPU’s “speculative execution” feature) and the exploits possible (named Meltdown and Spectre). What the exploits are able to do is read data out of computer memory that is supposed to be protected. Things like passwords and security information that should not be possible to be accessed by ordinary software can be extracted with these exploits. While the root vulnerability is very serious, actually implementing an attack will require a way to deliver malicious code. In other words, a malware/virus will need to be created to carry out the Meltdown or Spectre exploits. Because any malware attempting to perform a Meltdown or Spectre attack would be able to be mitigated just as any other malware can, standard security precautions should in practice protect most technology users and their data. Additionally, operating system developers have been releasing patches that significantly mitigate the risks from Meltdown and Spectre, making it much harder to actually gather sensitive data with a successful attack. So for systems that have been updated to protect against these new exploits, the risk is greatly reduced. All that being said, however, the disclosure this vulnerability in a key architectural function of the processors we use in all our technology devices should serve as a wake-up call for everyone to review their key security practices. The key thing to keep in mind is that the more secure your base technology platform is, the more secure you will be from exploits such as Meltdown and Spectre, as well as any malware in general. 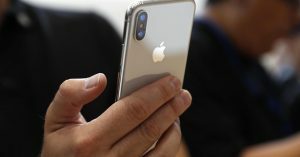 For example, while the processors used in the iPhone and iPad are technically vulnerable to these exploits, since delivering malware to an iOS device is practically impossible there is almost no risk to these devices. On platforms that are more susceptible to malware (i.e. Windows, Android) continued vigilance to security best practices continues to be an important priority, even more so now. 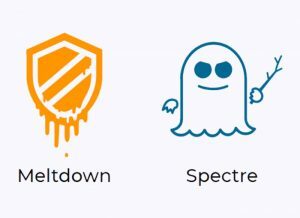 The bottom line is that for as scary as the Meltdown and Spectre exploits appear to be, they are simply just another vulnerability for criminal malware to take advantage of. True, this particular vulnerability may not be completely fixable until sometime in the future when we are able to purchase new technology devices with redesigned processors, but patches from operating system developers and adequate security precautions should mitigate the risk for most technology users. If you have any questions about protecting your technology and data, please don’t hesitate to ask me a question! As we wind down the year and enter into the holiday season, I figured that in honor of Thanksgiving I would share five technologies I’m thankful for this year. I’d love to hear what you think so comment below with your thoughts and any technologies you are thankful for. 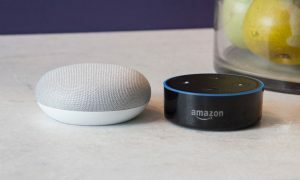 Virtual Assistants: Technologies like Apple Siri, Amazon Alexa, and Google Home are becoming quite mature and robust when it comes to controlling various Internet of Thing devices such as home automation systems and smart appliances. I personally have all three types of virtual assistants in my home because 1) I’m a big geek, and 2) because I want to test them all to be familiar with them. They all work well with the fairly simple home automation setup I currently have and I honestly appreciate how they make my home life easier and more comfortable. Virtual assistant technologies will only continue to grow and evolve in the near future so you may want to begin investigating them if you haven’t already. Streaming Live TV: This is the year that will go down as the emergence of streaming “live tv” services such as Hulu with Live TV, Sling TV, DirecTV Now, Playstation Vue, and YouTube TV. I can virtually see the crumbling of the old world of broadcast and cable TV before my eyes as I am now able to watch almost all my local channels, the sports teams I care about, and traditional TV channels streaming over the Internet, along with libraries of on-demand movies and TV shows. I will be cancelling my cable TV service shortly and I know other people who are doing the same with their cable or satellite services. The future of video content is streaming and we are seeing it take shape now. Robot Vacuums: Last summer we got new hardwood floors. We have two cats. Without our trusty Roomba I know our dark hardwood floors would show a ton of cat hair. It runs faithfully every day, keeping the overflow of feline fuzziness under control along with sweeping up the random junk that life brings in the house. Seriously, It does an amazing job of keeping our entire first floor clean and sparkly! I would really miss our Roomba if we didn’t have it. 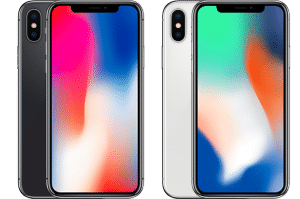 iPhone X: I honestly didn’t expect to like my new iPhone so much. After all, I’ve seen a lot of technologies in my life and just how different could another iPhone be? Yet I have been pleasantly surprised at just how smooth and seamless my experience has been with the iPhone X. I really enjoy the fact that the phone is not much bigger than a standard size iPhone 6/7/8 but the screen is just as big as a plus sized iPhone (technically slightly bigger) because the screen is edge-to-edge. Face ID works nearly flawlessly for me, the screen is bright, crisp, and richly colored, apps are highly responsive, the phone feels balanced and solid in the hand, and the new button-less interface is surprisingly intuitive. Kudos to Apple for pushing forward the smartphone game, setting the bar everyone else is trying to reach even higher … again. Wireless Mesh Networks: I’ve only have the opportunity to deploy a few of these new types of wireless network systems this year, but so far the results have been impressive. Basically, a wireless mesh network is just a Wi-Fi network but instead of one access point putting out a signal, they are multiple wireless devices (typically 2 or 3) that are specially designed to work with each other to cover an area as one big seamless wireless network. 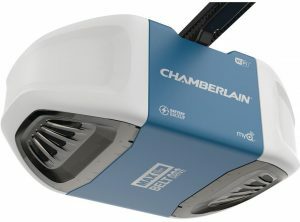 They are not your ordinary wireless “booster” that often seems to cause more headaches than they solve. 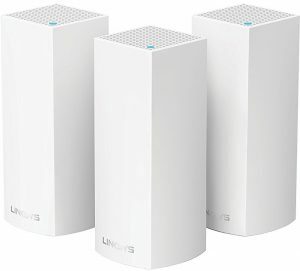 With wireless mesh networks Wi-Fi dead zones may be a thing of the past soon, so if you have a troublesome Wi-Fi installation in your home or business let me know and we can discuss a if a wireless mesh system is right for you. Again, I’d love to read your thoughts on these technologies and any technologies you personally are thankful for, so add your comments below! As well, if you need help or have questions about these or any other technologies, please feel free to contact me or post your question in my Q&A section. If the Equifax data breach has taught you nothing else, it should be that any company can be subject to a security compromise if they are not careful. According to news reports, Equifax was breached through a vulnerability that was disclosed and a patch made available 2 months prior to when their system was infiltrated. Given the extremely sensitive nature of the data that Equifax keeps on hundreds of millions of people, waiting at least two months to implement a patch on a vulnerability that serious can only be considered irresponsible at best. However, the relatively simple mistake that Equifax made (not paying attention to the disclosure of a security flaw) is something that many thousands of businesses repeat every single day. It is often only a matter of time before a security vulnerability is exploited for many businesses who do not do their due diligence when it comes to security. To be sure, most small businesses have much simpler networks and technology systems than a large corporation like Equifax. However, this is no excuse to be lax on security. Many small businesses, especially any in the medical or financial fields, have a lot of information that can be extremely valuable to identity thieves. In addition, any company that works with businesses in the medical or financial industries, as well as those who service governmental agencies, are also vulnerable as their business could be used as a staging point to breach other businesses. Suffering a serious data breach can be fatal for many small businesses so it is certainly worth the effort to make sure that a business has adequate security in place to protect their valuable data, including customer information. The problem is that most small business owners are not technology experts. How can someone who is very busy running their business and servicing their clients be expected to learn and implement relatively complicated technology security practices? Generally they must rely on either their technology staff or their outsourced technology service providers to do so. Even then, as the Equifax incident has shown, it is possible for technology professionals to fail in their tasks. So what is a small business owner to do? The answer is to have a second opinion on their technology security – i.e. a Security Check-Up. If you currently have technology staff or an outsourced technology provider, it is in your best interest to review their technology procedures and then have another technology provider perform a security audit to ensure that adequate security precautions are in place. If you are like many small businesses who do not have any professional technology help, then hire a trustworthy technology professional to perform a Security Check-Up as soon as you can! If you need help with evaluating the security precautions of your business, please feel free to contact me right away. I am currently lining up clients to perform Security Check-Ups for the last quarter of the year so make sure you are protected before a security breach impacts your business. 2016 has certainly been an interesting year to say the least. I think many people are looking forward to the holiday break but first we all must get some gift shopping done. In order to help all of you make good technology gifting decisions, I present to you my 9th Annual Holiday Tech Toys list. This year I’ve tried to present a list of lower-cost items that are still great tech gifts and some can even work as stocking stuffers. Make sure to take a look at Holiday Tech Toys from years past as there are likely still many gifts that could still be good choices for this year. I’ve been following home automation technology for a long time. 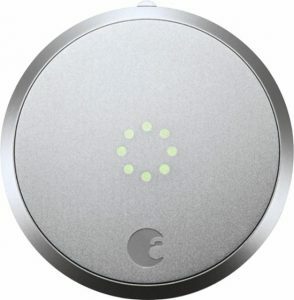 Besides being expensive, the main problem in years past has been that most home automation devices were difficult to understand and devices from different companies rarely worked well together. Anyone who wanted to go beyond simple automation had to be highly technical or pay someone a good chunk of money to set up highly complicated systems. 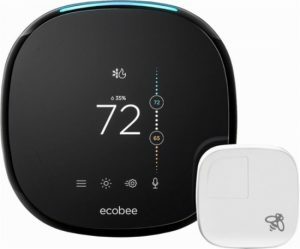 The good news is that in the last few years various companies such as Apple with their HomeKit platform, Google with their Nest platform, and handful of others including Amazon’s Alexa are bridging together formerly disparate home automation technologies into cohesive and simpler to use units. Unfortunately many home automation technologies are still a bit pricey. However I did find one inexpensive home automation device that can easily automate many electronics such as lamps and small appliances. 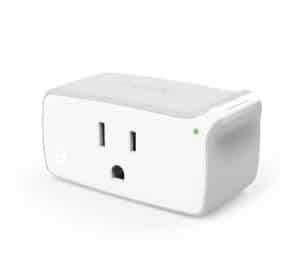 The iHome SmartPlug iSP5 requires nothing more than a smartphone and Wi-Fi network to function. I’ve found it as low as $29 at Home Depot and it I’ve purchased several for my home over the last year. My family and I can control the attached devices with a simple app on our iPhones or by using Siri voice commands. Because I did not need to buy a “hub” or other proprietary controlling device, this makes setup very simple and less expensive. 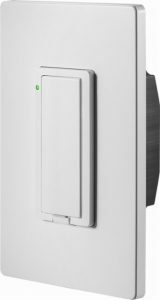 Another great thing about the iHome SmartPlug is that it works with virtually every current home automation platform. Note that the iSP5 model may be getting low on stock as the replacement iSP6 model begins to enter the market. The iSP6 is about $10 more expensive on average than the iSP5, but I expect that this price will drop over time. Flying drones have been a popular, albeit expensive, tech toy over the last few years. However, I am now starting to see small drones that are much less expensive, yet still have some of the capabilities that have made flying drones so popular. A quick search around a store like Best Buy will show many drones now under $200, with several under $150 and $100. 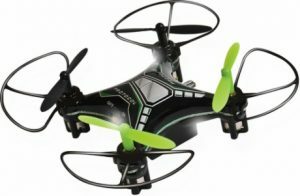 If you’re looking for more of a “toy” flying drone, there are now many under $50, although you will sacrifice some features that more “serious” drones offer. Still, for under $50, it could be a great way to find out if you or your family have a real interest in pursuing the larger, more expensive flying drones. Those of us who know (or remember) video game history will say that the Atari 2600 was the first popular home console system. But we also know that it was the original Nintendo Entertainment System (NES) that really brought home video gaming into the mainstream and we have never looked back. Now those us of that want a simple way to play several of the most popular NES games on our new-fangled HDTVs have an option in the new NES Classic mini-console. 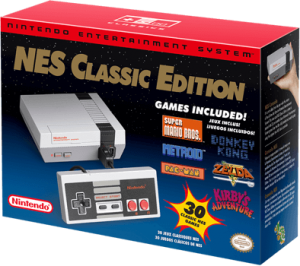 At $60, it is a miniaturized version of the original NES system with 30 built-in games, plus an HDMI port. Unfortunately, at the time of writing, it seems the NES Classic is so sought-after that it is out of stock almost everywhere. So if the NES Classic is on your shopping list, then keep your eyes peeled for any that might sneak into availability at your local stores. It seems that just as small flying drones are popular, small automated robots are also becoming very popular. 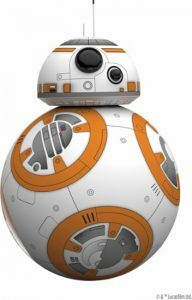 One example of such a tech toy is the Sphero BB-8 App-Enabled Droid. This is a very small replica of the character from the movie Star Wars: The Force Awakens. However, it can be controlled by a smartphone and can also run autonomously. It is normally $150, but it was on sale for less than $100 recently so I would not doubt if that price point can be found again soon. Other similar robots allow the owner to actually program them, like the Wonder Workshop Dash. This type of robot might be more educational but either tech toy should satisfy a little one who is into robots and automation. For a variety of reasons, car dash cameras are becoming hot items. One of the reasons may well be that the price of good quality dash cams has come down to reasonable levels. A model like the Thinkware F50 is less than $100, features a 140-degree wide camera with 1080p resolution, and will automatically save video 10 seconds before and after a collision is detected. Some more expensive models also allow you to attach an additional rear window camera as well. Little toy robots might be fun to play with, but robots that can take care of household chores are much more useful! Robot vacuums like the Roomba have been around for years, but in the last couple of years the technology has improved greatly and the prices have come down significantly. 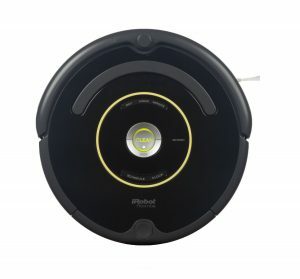 It used to be that high quality robot vacuums started at $500 or more and you can still buy models that are in upwards of $900, but a model like the Roomba 650 sells for approximately $325 on Amazon. My family had new hardwood floors installed in our house this summer and I purchased a Roomba 650 to keep our first floor free of excessive cat hair and dust. I set it to run every night around 3 AM and it manages to keep our entire first floor noticeably clean. There are a few things to get used to when living with an automated robot running around your house at night, but other than a few minor adjustments, we haven’t had to do much to make sure the Roomba can do its job every day. Since it is a gift that keeps on giving, a Roomba might be perfect for someone on your list. With all the fuss made over the iPhone 7 (and some other less well-known phones) eliminating the traditional headphone jack, many people are considering options for using their favorite headphones with these newer-style devices. One very simple and inexpensive way to adapt traditional headphones is with a Bluetooth adapter. Simply put, a Bluetooth headphone adapter allows traditional headphones to receive an audio signal wirelessly. Simply pair the adapter with your phone, connect your old headphones or earbuds, and listen wirelessly! 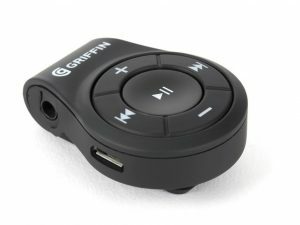 A model like the Griffin iTrip Clip is only $20 so this can make a great stocking stuffer for someone who has or will soon have an iPhone 7. Imagine a computer that can fit in the palm of your hand and only costs $9. Well stop imagining because the C.H.I.P. is exactly that. True you need to add a monitor, keyboard, mouse, and put it in some sort of enclosure because for $9 all you get is simply a small circuit board. However, on this small circuit board is a full-fledged PC including a 1 Ghz processor, 4 GB of storage, 512 GB of RAM, and built-in Wi-Fi and Bluetooth. Now this may not sound like a lot of processing power compared to what you can purchase in a new traditional PC, but believe it or not the C.H.I.P. is capable of running a modern operating system and software. 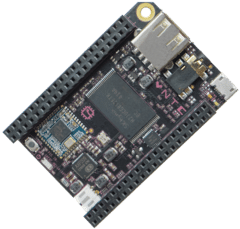 Now this certainly is a gift for someone who likes to dabble with technology projects, but for $9 it might create some technology curiosity in a young (or young-at-heart) gift recipient. It’s been said that the surface of most of our smartphones has more germs than a toilet bowl. I’m not sure that is true, but just to be safe it probably isn’t a bad idea to sanitize your phone. The problem is that most normal methods of sanitizing aren’t phone friendly. Either cleaning solutions present a liquid damage hazard to your phone or simply taking the time to clean your phone is a pain. Luckily for us, the PhoneSoap uses ultra-violet light to safely and quickly sanitize any smartphone (or anything you can put inside it). 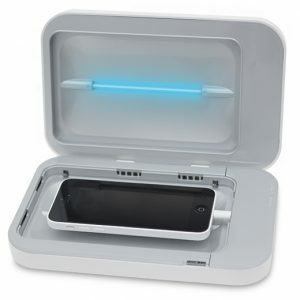 Basically, you put your phone inside the PhoneSoap device, close the lid, and 5 minutes later the phone is sanitized. At only $60, one PhoneSoap can serve your entire family. My family owns one and I can tell you that it does appear to do its job. If it saves someone just one illness, it is definitely a gift worth giving! A lot of us enjoy having live plants in our home. But some of us aren’t so good at remembering to water our potted plants. If only there was a way to have a pot that would water our plants for us. Well now there is! 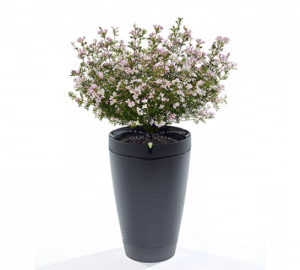 The Parrot Pot is a “smart” pot that detects when your plant needs water and automatically waters at the right time. It can hold enough water for up to a month of watering, so you can be sure your prized plant will stay healthy even if you are away on a trip. Normally at $150 it may be a bit of a stretch for someone who isn’t a serious gardener. However, it is currently on sale for $99 so it might be a great gift for someone who enjoys their plants but isn’t a green thumb. If you have any questions about these or any other technology gift, please don’t hesitate to ask! This will be the first in a series of articles. Look for more soon! Part 1: You’re Not the Problem. Old Technology is. There is no doubt that in the last 10 years, technology has moved faster than ever before. For many people and business owners, this rapid pace of technology development has left them feeling confused and overwhelmed. I am very familiar with the problems that my clients have faced in the last several years trying to keep up with all the new technology. I have identified several tips for users who are looking to thrive and survive in The New World of Technology. The very first piece of advice I have for you is to stop thinking of yourself as technology “illiterate,” technology “stupid,” or any other such derisive term. Technology should make your life easier, not harder. If you are having difficultly using or understanding your technology, you are probably using the wrong technology! One key trait of New World Technology is increased simplicity user-friendliness. In this day and age there is no reason to continue using frustrating technology. If you want to thrive and survive in The New World of Technology, you must shift your mindset. Instead of thinking that new technologies are “too smart” for you, understand that new technologies are actually easier to use than ever before. Even though all this new technology is more powerful than ever, a great deal of that power is because it is much easier to use. That ease-of-use has led to many more people using technology than did in the past. If you continue to bury your head in the sand, you will be left behind and you will have no one to blame but yourself. The year is 2015. You must stop thinking in terms of 1990’s technology. Yes, the Windows PC was the dominant technology for nearly 20 years. For many of us, we “grew up” with that technology so it isn’t surprising we base our world view of technology on this old standby. However, The New World of Technology is dominated by mobile devices and distributed data. 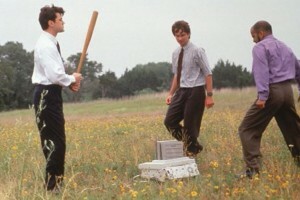 If you think that you must sit down at a desk to work with a computer, you are stuck in the 90’s. The New World of Technology allows us to work with our technology and access our data from almost anywhere in the world. Instead of chaining us to our desks or even our offices, today’s technology allows us to be much more flexible with our lives. We can travel more to meet with clients and partners. We can work from home and still be connected with our coworkers. We can even be more free to take time off work because we know we can access data and respond quickly if something urgent comes up. Getting away from a 1990’s technology mindset also goes hand-in-hand with the ease-of-use I was talking about earlier. A lot of people feel that they want to stick with the tried-and-true Windows PC metaphor because they think that learning new technologies will be hard. Once again, they base their view from their past experiences with technology. Yes, working with a Windows PC was frustrating experience! It still can be even today! But newer technologies are much easier to learn. The learning curves are much smaller. By trying to stick with familiar technologies, many people are doing themselves a disservice. They are inadvertently keeping their technology experience frustrating by not embracing The New World of Technology. To sum up, if you want to thrive and survive in The New World of Technology, you need to stop blaming yourself and get away from old, confusing technology. I can offer many examples of people from old to young who have embraced New World technologies and no longer consider themselves technology “illiterate.” You could be next! Once you come to grips that you can master newer technologies and let go of the past, come back to read the next article in this series, where I will offer additional tips and advice. As always, if you have any technology related questions, please do not hesitate to ask me anything!